2 x 4 ounce tubes = 8 ounce total. 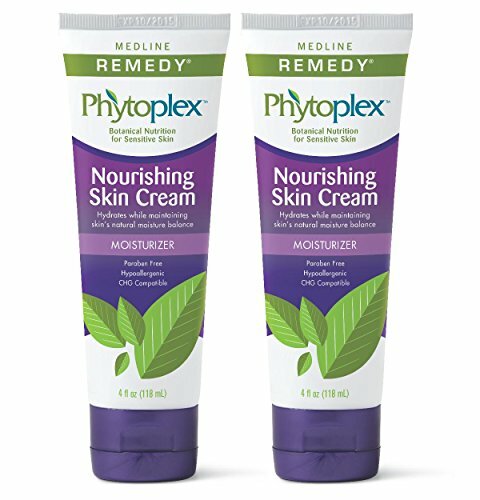 Helps restore skin's natural moisture balance and barrier properties. Absorbs readily into the skin upon application without any greasy residue. Soothes the skin with oat kernel and licorice root extract. Ideal for use on hands, face and body. Formulated to remain breathable. 2 pack of 4 ounce tubes = 8 ounces total. Divine Derriere Dark Spot Corrector Remover For Face & Melasma Treatment Fade Cream- Compare to Hydroquinone Cream for Skin Lightening - Contains Arbutin, Vitamin C, Kojic Acid, Mandelic Acid 1 fl oz. Tummy Sleek Tummy Tightening Serum - Skin Firming & Body Toning Gel for Abs and Waist with Actigym + Caffeine + Bitter Orange Extract - 4 oz.